Showing 10 records. From 1511 to 1518 (from a total of 1518). Enjoying the wine with its luscious scent and mysterious flavor, “Gold Shabran” leaves its lasting fabulous taste in your mouth. Fontcreuse is a premium Cotes de Provence rosé. A collaboration between two pillars of the Provencal wine scene, Jean François Brando proprietor of Chateau de Fontcreuse in Cassis and Olivier Sumeire of Famille Sumeire, 8th generation wine Producer. Winery owner with two strong brands and a successful consulting business. Well known for making big, rich California Chardonnay. Intricately involved in two of the most successful Chardonnay endeavors in recent memory. Single appellation, single grower. 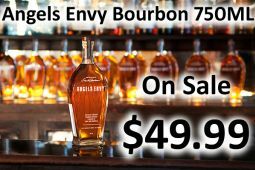 Created by MasterDistiller Lincoln Henderson, Angel’s Envy is worth coveting. Aged up to 6 years in charred white oak barrels and finished in ruby port wine casks. THIS MOSCATEL IS A VERY PALE YELLOW WHITE WINE, SWEET BUT NOT OVER SWEET, WHIT NOTES OF HONEY, TROPICAL FRUITS AND VERY FRESH AROMAS. We're a Japanese trading company and looking for bulk wine & Grape Juice Concentrate from SPAIN and Italy. Here're our requirement. SPAIN - Red/white bulk wine with 100% traceability including sprayed pesticide record. Grape Juice Concentrate with 100% traceability including sprayed pesticide record. Italy- Rossisimo bulk wine and Grape Juice Concentrate including 100% traceability including sprayed pesticide record. 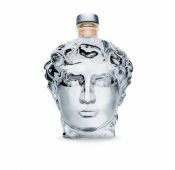 Company from USA is looking for "Tenute Fiorebelli Cabaletta 750ML 2016"